If you’re looking for apartments in Jacksonville, Florida, you can save time and considerable effort by utilizing a free rental locating service. Rather than sift through endless ads, hoping for the perfect apartments, you can access Jacksonville area rentals through a continually-updated database with thousands of listings. Many of the apartments on a rental service listing aren’t even advertised in local papers. We open a new window of possibilities, making it much easier to find the perfect Jacksonville apartment for your situation. Need a place to stay for a short amount of time? Families and individuals may do this for a number of reasons. It’s not always easy to find a perfect short-term Jacksonville apartment rental, though. A matching service can find you a clean, well-appointed apartment, house, or condo to suit your time and budget needs. Want a vacation rental apartment in Jacksonville, Florida? Staying in an apartment — rather than a hotel — isn’t only more comfortable, but in many cases it’s more practical. Also, staying in a short-term rental can be friendlier for families with small children and for people traveling with pets. Need to stay in the Jacksonville area for work purposes? Some companies rent out apartments on weekly, monthly, or a longer-term basis for their needs. A certain standard of quality is expected for corporate housing, and a leasing specialist at our rental matching service can help you find the ideal accommodations for the company and the staff members who are staying in the area. Home renters prefer to use a service to find a new apartment rather than go through the hassle of sifting through classified ads. List your desired area, number of bedrooms, price range, and needed amenities and you could have a short list that meets your desired criteria—quickly. Leasing Jacksonville rental finding service is a free service, matching renters with houses, condos, and apartments in Jacksonville, FL since 1985. Fill out the form above or contact us at 904-646-9900 to get free assistance. Tell us what you’re looking for. An expert agent will match you with apartments from our database that meet your needs. Our services come at no cost to you. Parker was born and raised in Jacksonville. Parker has established numerous relationships with communities all around Jacksonville to assure his clients are fully taken care of. Lisa obtained her Florida Real Estate License in 2004 and sold new homes for a local builder for several years. Lisa has lived in Jacksonville with her husband, a U.S. Navy veteran, for more than 25 years. 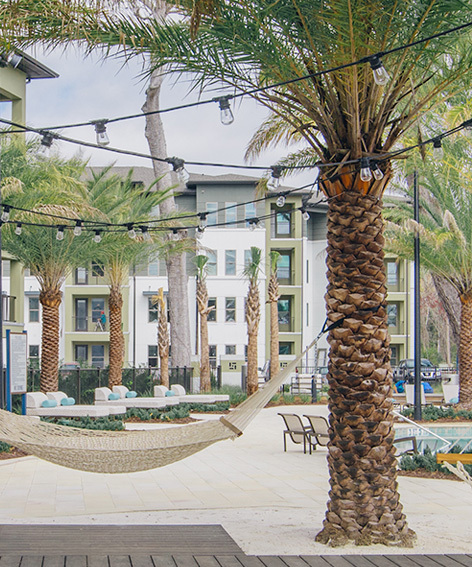 We take the guesswork out of searching for a Jacksonville apartment. Get access to a database of homes at no cost to you. Tell us a little about yourself, and we can get to work finding apartment options for you to consider. Let’s get started! Our agents find the best neighborhood and home for each client’s lifestyle and budget. That way, they can get the most out of the city. We evaluate dozens of factors, from location and price to amenities, floorplans, pet-friendliness, apartment finishes, and more. Ready to Stop Searching and Start Renting?